First off this game is only meant for those who have very naught minds. You have been warned! p.s don’t read this post in front of children! 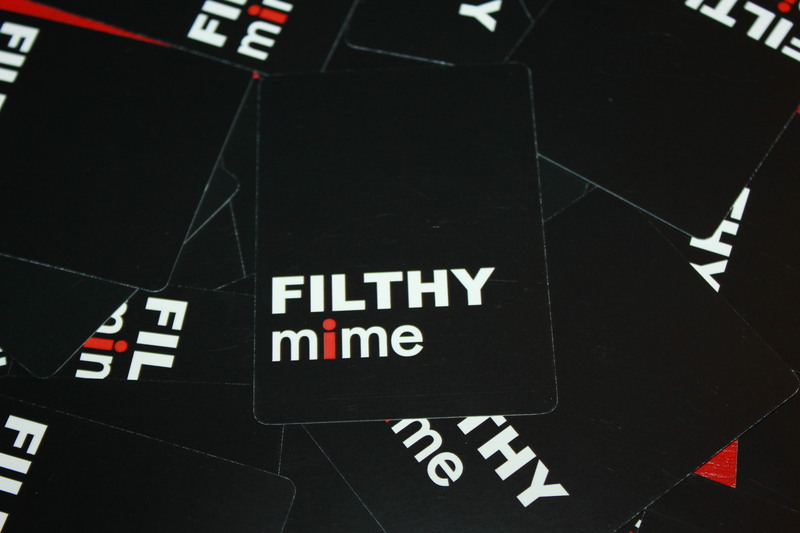 Filthy Mime is Cards Against Humanity meets Charades. You will have a deck of cards, a player will randomly pick a card. They will then attempt acting out what is on the card while the other players make their best guess. 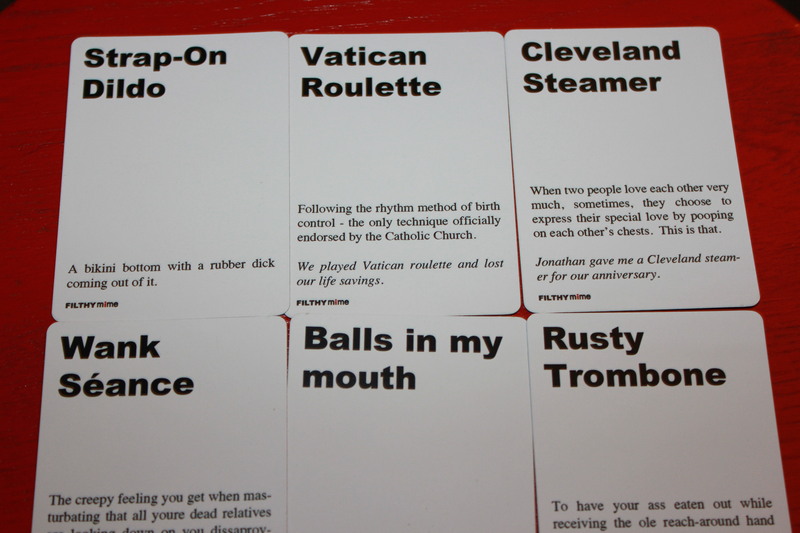 The player at the end who has the most cards and apparently the dirtiest mind wins!! 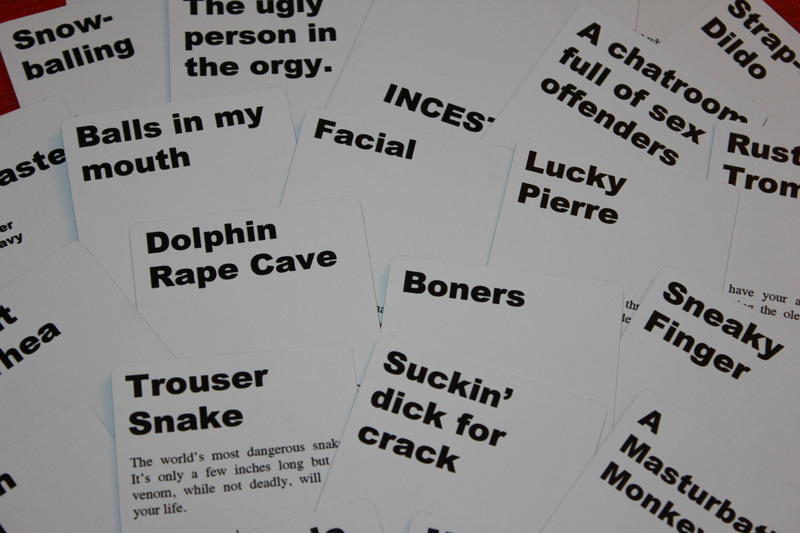 This is a must party game for anyone who enjoys ridiculously raunchy fun! Now really what you have been waiting for.. A Sneak Peek of some of the cards! Please keep in mind this is a sneak peek. Not the finally product!!! We were given this copy to play it, review and give feedback. This is guaranteed to make you laugh, blush and may even learn some new sexual terms! I know I did! I had no idea what snow-balling was called is until I read the card! Bahaha! So loose up, have a drink or a few and have fun! You never know how your conversation and night will end! Can’t wait to play Filthy Mime?!?!?! Guess what you don’t have too! Try the Print N Play right NOW! The full game will be on kickstarter soon! To keep on the details follow Filthy Mime on Twitter.